Toto « Agent Drain Inc.
Are you tired of your toilet always being clogged? Many contractors in the US use mostly American Standard or Kohler toilets but we truely believe they are not the best designed toilet and generally have many more problems in their life time. 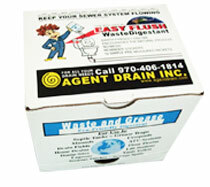 We aren’t trying to put ourselves out of business but our motto at Agent Drain Inc. is to offer complete solutions. Make this one thing in your life easier. When you purchase your Toto toilet from us we offer a full installation package which covers all parts needed to get your Toto up and running, a SoftClose® seat and free removal of your old toilet in one affordable price. We do discount for multiple toilet purchases with installation. Please Call (970) 406-1814 to get more info and prices today. 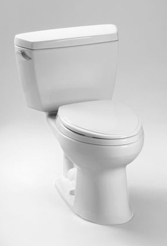 High profile elongated close coupled toilet with 12″ rough-in. Low consumption (6 Lpf/1.6 Gpf) siphon jet flushing action. We keep Cotton in stock at all times. Any of the other colors will need to be special ordered. It takes about 14 days for a special order toilet arrive. Prices may vary for the different colors and may change at any time. The Toto and The G-Max® flushing system is perhaps the most respected (and demanded) flushing system in the world. This is considered the #1 toilet in Europe and Japan. For years, our competition has been trying to duplicate the same powerful flush that has made us the brand preferred by countless professional plumbers, innovative builders, and discriminating homeowners. Read What Others Have Said About The Toto Toilet.